Grimoire Dungeon - A section of a very large drawing showing classic adventurers exploring a rubble filled dungeon.. Commissioned by Le Grimoire for the French version of the Lone Wolf Role-playing game. | Flickr - Photo Sharing! 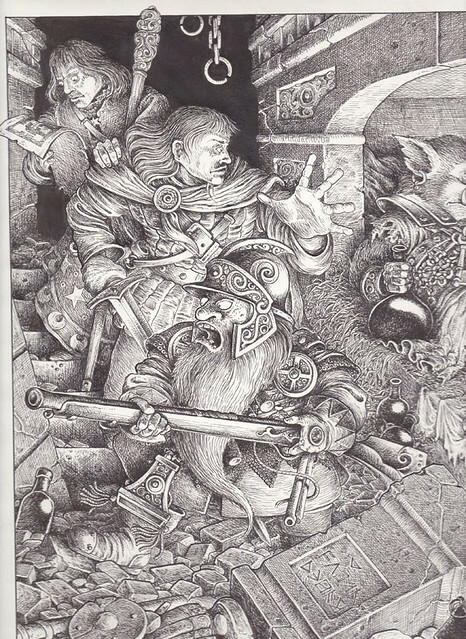 Grimoire Dungeon - A section of a very large drawing showing classic adventurers exploring a rubble filled dungeon.. Commissioned by Le Grimoire for the French version of the Lone Wolf Role-playing game.